Madras, February 2: “This court is of the considered opinion that the system of negative marking in no way helps the examiner to analyse the intelligence, aptitude or knowledge of the students in any manner. As such, this Court has no hesitation to hold that the system of negative marking has to be done away with, in as much as, in the considered opinion of this Court, the same perforce requires reconsideration.” Said, Justice R Mahadevan, while hearing a petition of a student in Madras High Court. The counsel for the petitioner submitted the answer sheet in the court, where Nelson has actually scored 72 and 25 marks were reduced for wrong answers by awarding negative marks. The counsel for CBSE said that multiple options are being given to each of the candidates and the procedure of testing is controlled by National Testing Agency, Department of Higher Education controlled by the Human Resources Department. Huge relief to a number of students who lose their entry to prestigious institutions as the IITs due to negative marking, the Madras High Court on Friday ruled against negative marks and said the same should be done away with, immediately. 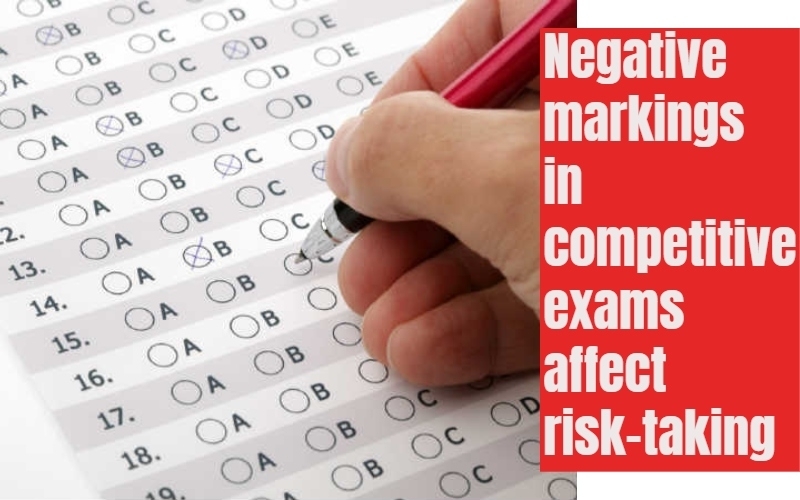 The petitioner also submitted that the Medical Council of Canada Evaluation Examination, CMC Vellore, The Undergraduate Medicine and Health Sciences Admission Test, Canada, and MCI Rules and Regulations for MBBS in Russia, do carry out entrance examinations but not the negative marking system.